Will Selling Your Tampa Home For Sale By Owner Cost You More? Duncan Duo Tampa Real Estate Video Blog: Will Selling Your Tampa Home For Sale By Owner Cost You More? Will Selling Your Tampa Home For Sale By Owner Cost You More? Hello, and welcome back! Today's topic is 5 reasons not to sell as For Sale By Owner. 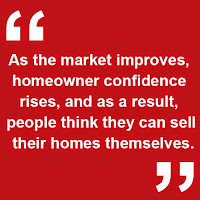 As the market improves, homeowner confidence rises, and as a result, people think they can sell their homes themselves. There are things agents do that are taken for granted, so we want to use this time to remind you of them, so you don't realize you're in over your head after it's already too late! Real estate agents outsell FSBOs by 6% or more: The fee you think you're saving is imaginary because you're selling your home for less. There are too many people to negotiate with: There are many people you have to negotiate with throughout the course of a real estate transaction: the potential buyers, the buyer's agent, attorneys, inspectors, lenders, and appraisers, among others! Lack of exposure to prospective buyers: Recent studies show that 88% of buyers search online for homes, 21% look in newspaper ads, and even fewer are looking at homes after seeing yard signs. Bottom line: You need a team that can get your home looking great online and get it front of the most buyers. More guidelines in the lender world: The lending world has become a more complicated place in recent years, making it harder to sell your home yourself. Regulations are mandatory, and failure to conform to them could cost you a whole lot of money. You'll cost yourself a lot of money: An agent is going to sell your home faster and for up to 5% more money than market averages. 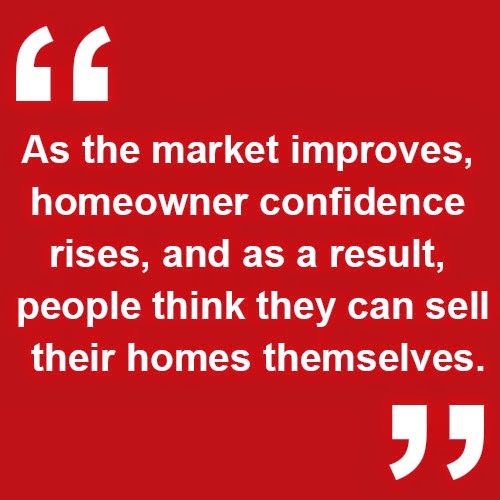 Homeowners believe they can get a better deal when they sell by themselves, but studies have shown that FSBOs sell for an average of $208,000, while agent-sold homes go for $235,000. That's a loss of $27,000 - a whole lot more than an agent's commission. If you have any questions about how an agent can help you, or if you need real estate advice of any kind, give us a call or shoot us an email. The Duncan Duo is always here to help!